Narcissistic Fleas are sort of a side-effect of long-term involvement with someone who has narcissistic personality disorder. This may be a narcissistic parent or a narcissistic spouse, or even a long-term narcissistic friend or co-worker. 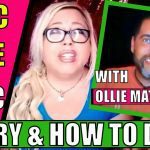 Today, I’m going to explain exactly what narcissistic fleas are and how you can get rid of them – plus, offer examples of what it looks like when you get a case of the “fleas” and why it happens. 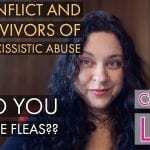 Conlict After Narcissistic Abuse, Do You Have Fleas? 4 Responses to What are narcissistic fleas? 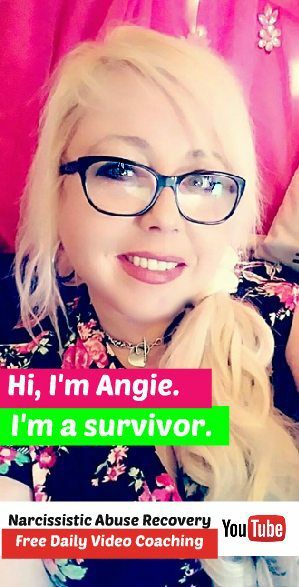 Hi Angela. Been watching your videos for about a week now. Great insight. It’s helping alot. I think I have narcissistic fleas atm but I am only directing them at the narcissist. We broke up approximately a month ago after I found out he has been cheating. I found myself prior to the break up whenever he started an argument,belittled me or made me feel like something was wrong with me or blaming me for his wrong doings. I would hit him!! I hate the fact I did this but he would push my emotional buttons until I cracked. He also does this to me by sending texts msgs degrading me. I know he is trying to make me crack because I won’t see him or return his text msgs. I changed my phone number yesterday as the msgs are so horrible I don’t want to read them. I started to wonder if I was the narcissist because he makes me feel like I’m disregarding him as I’m choosing no contact. It’s so hard not to bite back when he is blaming me for everything, making me feel like I’m a **** when I was nothing but faithful for our entire relationship. Is choosing no contact being narcissistic? Oh yes, narcissistic fleas. 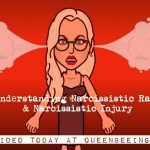 Thanks for the term to describe the behavior fallout from narcissistic abuse. My fleas are taking the form of demanding a fair settlement in the divorce proceedings. 34+years and he says I’m not entitled, yep that word was used without the tiniest smidgen of irony, to more than 1 year of alimony and none of his retirement, the house we built etc. The irony is that we are in a fault state. Just typing that makes me smile and feel very narcissistic. So that being said, how about some vlogs about divorcing a narcissist both with and without kids. Many of my younger gal pals are stuck with the narc for years due to breeding with a fuckwit so no contact is not possible. your videos have been very helpful in my recovery.much appreciated . Most EXCELLENT video. Yep, have had few FLEAS! Boy, they sneak up on you … the ANGER and lashing out! I am weird, because I am not an instant anger person … most of the time I kind of go into “freeze” mode when I should actually at least SAY SOMETHING about the inappropriateness of the situation. Later, I am either angry at myself for not reacting at all or occasionally, I have lashed out at someone else instead. Or a person that I am more comfortable with will do something that ruffles my feathers a little and I get angry to an inappropriate degree. I don’t do it very often, but it freaks me out when I do and I do apologize (and you are right … that doesn’t always work out the way it is suppose to) altho, I think when I do that it really catches those I am expressing anger towards off guard because I am usually quite easy going and easy to get along with ( at least I USED to be … I think I mite be ruined forever sometimes! ).